Any one out there want to be the hero to Vero Beach residents, visitors & our very hard working public safety organization that protects our beaches 365 days of the year? 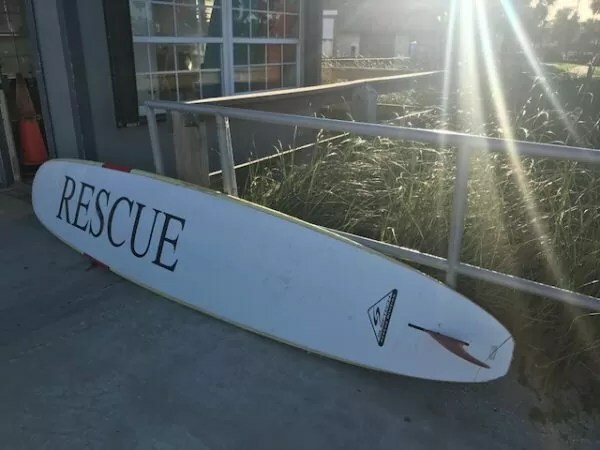 The Vero Beach Lifeguard Association (VBLA) is in dire need of a new structure, a “House of Refuge” at Humiston Park and is just a donor away from making it happen. VBLA’s current structure at Humiston Park is falling apart and no longer provides the space, safety, shelter nor image of professionalism that the VBLA exhibits everyday. As far as I am concerned, that is an understatement. The VBLA is on our beaches, in the elements, 365 days of the year with a mission (read: fierce passion) to monitor our beaches for your safety. These gentlemen not only save lives but must make split-second decisions based on the ever-changing weather, tides & wildlife in an ocean environment; decisions that are not always popular with “we, the beach-loving public”. Tough job. Tough environment. VBLA loves their jobs. Let’s show VBLA the love we have for Vero’s beaches & their efforts. 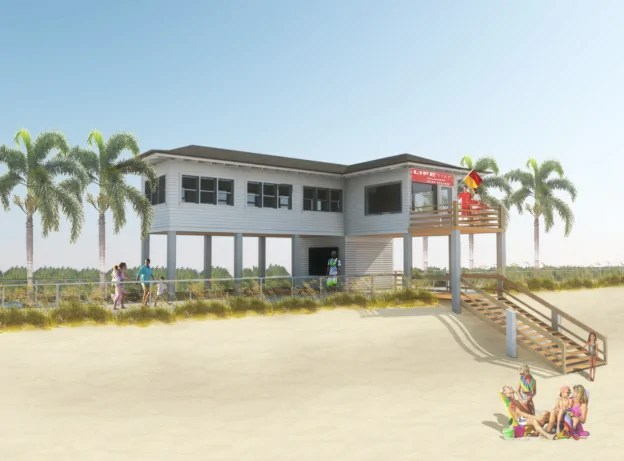 VBLA needs a new, state-of-the-art lifeguard station at Humiston that matches the professionalism, dedication & needs of Vero’s lifesavers & beach visitors. Humiston happens to be one of the top 10 parks in Florida. Fact. The current Humiston structure has been sitting sentry since 1978. Lifeguards sitting inside cannot see the beach. 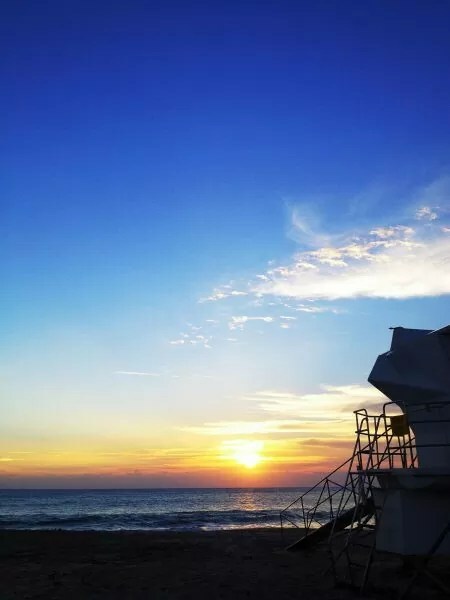 When outside, VBLA’s guards are subject to all the elements the ocean environment provides. 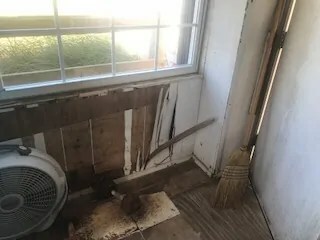 The building is moldy, has holes in the floorboards & walls; the windows are cloudy and the guards frequently find snakes and/or rats inside upon opening in the mornings. Indian River County Fire & Rescue have state of the art facilities. It just makes good sense. Public safety sense. Tourism is the #1 industry in Indian River County. 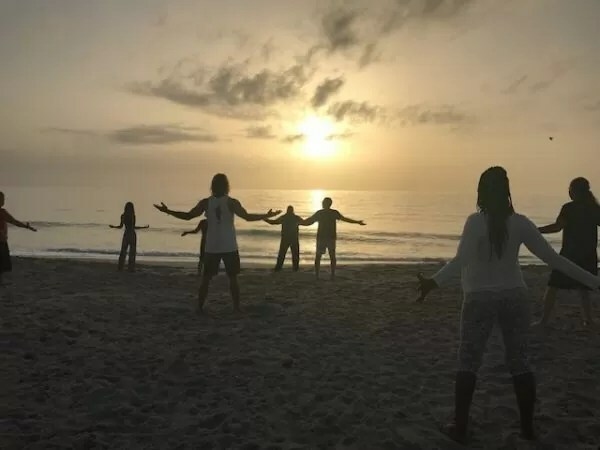 An estimated 1 million people visit the beaches of Vero Beach every year. VBLA is dedicated to keeping tourists and locals safe while advocating the need for clean beaches, well equipped lifeguards and an informed public. Through multiple fundraisers every year, VBLA has raised thousands of dollars which goes directly back into our community. Please help VBLA keep our beaches, the economic engine of our community, safe, clean and protected. VBLA has been trying to get a new structure at Humiston since 2012. No easy feat due to all the regulations and approvals any proposed oceanfront structure needs to move towards build. The Florida Department of Environmental Protection nixed the initial proposal since that structure strayed from the current structure’s footprint. “VBLA needs about $250,000 to complete the project and is looking for a ‘naming rights’ donor. They are looking for private funding to keep things simple. The Bethel Creek House of Refuge was most certainly put in to service during one of Vero’s most well known shipwrecks: The Wreck of the Breconshire in 1894. During World War II, the station was used by the military. After the war, it was dismantled. Today, there is a historical marker on the north side of Conn Boardwalk, marking the House of Refuge’s location. Vero is such a Giving Town whose Beaches Draw People from all Over the World. Let’s honor our beaches, our history & the hard work of the VBLA by coming together and finding the angel to provide a new, state of the art House of Refuge at Humiston. It is far better to give than receive AND this is a gift for all of Vero. The Fourth Annual……….Abnormal Barefoot Formal! 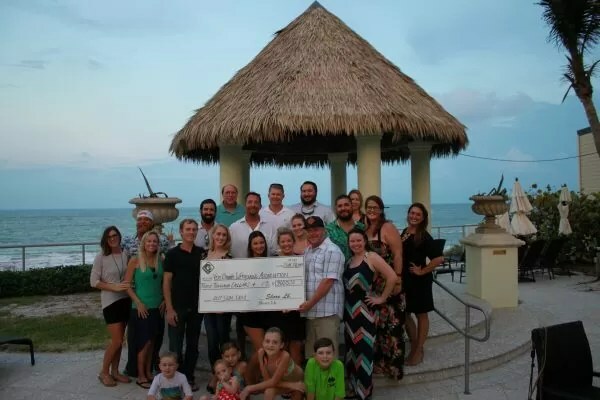 Waldo’s Restaurant will once again host the fun and wacky Barefoot Beach Ball to benefit the VBLA. Last year, the sold-out event had guests come dressed in formal attire with a silly spin. Everything from bowties with beach trunks to boas and bikinis were there, with flare! This zany “barefoot black tie” event is fun for the whole family. Guests will be treated to great music, tasty food, beach giveaways, and more. Fun activities are planned to keep the mood merry until 7:41pm (sunset) when the “hunk dunk” puts the lifeguards in the water. Then, all in attendance will simultaneously jump in the ocean still dressed in their funky finery. Sherry Corey, Chairwoman of the Board of Directors of Vero Communiqué. Vero Communiqué is registered with the Internal Revenue Service as a 501 (c) (3) non-profit organization. In 2011 Sherry founded eMedia Connections, a social media marketing & public relations consultancy while living in Charlottesville, Virginia. She is a “serial” entrepreneur who grew up outside Washington, DC, surrounded by technology and mainframe punch cards as the daughter of an IBM Systems Engineer. Born in Huntsville, Alabama, Sherry lived in Mexico City for two of her elementary school years. This experience was responsible for her love for language, culture, Spanish and the adventures of living abroad. Sherry graduated with a BA from the University of South Carolina Honors College in Columbia, South Carolina with a double-major in Economics & International Studies. After graduation, her wanderlust took her to Steamboat, CO; San Francisco, CA; Beijing, China; Washington, DC; Nyack, NY and both Fredericksburg & Charlottesville, VA for the last 15 years. She moved to Vero Beach to stick her toes, permanently in the sand in early 2014. ← Stanford Erickson: Holding Journalists Accountable.